Rachael is running a follow spot for the first time, but has a long list of credits with our Civic Youth Theatre including her favorite role of Beezus Quimby in Ramona Quimby. She was also seen in our productions of Disney's Beauty and the Beast Jr, Seussical Jr, and Disney's The Little Mermaid. 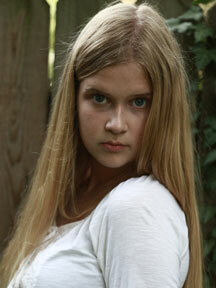 A busy 9th grader, Rachael enjoys dance, singing, photography and baking.